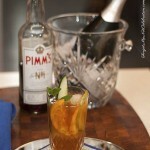 The cocktail that I served for brunch was a Pimm’s cup which is a popular English drink. It is served at Wimbledon, the Chelsea Flower Show and the Henley Royal Regatta. 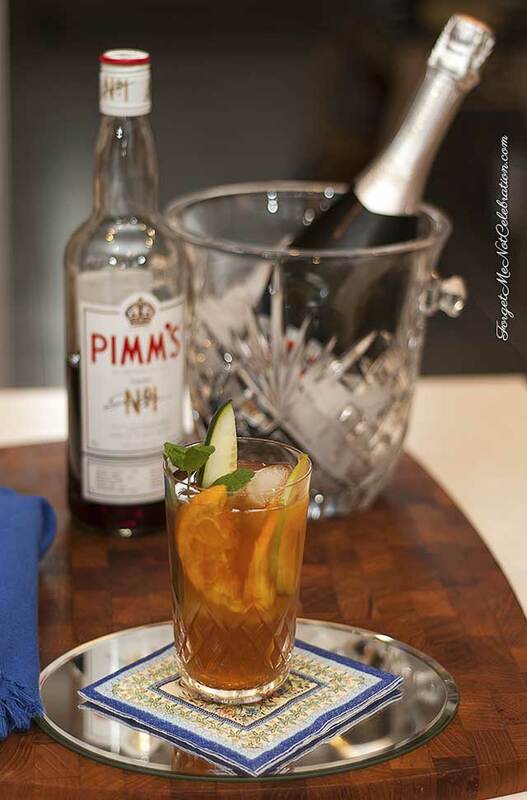 Currently, only three of the original seven Pimm’s products are produced. Each one has a different base alcohol. Now I know why I liked Pimm’s No. 1 when I tried it on vacation. It is gin-based; and gin is one of my go to favorites. 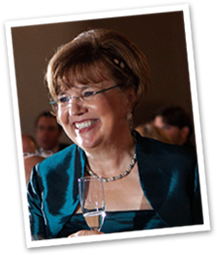 While researching the many versions of this cocktail, I found one by Gale Gand that included Champagne. My husband and I prefer Asti Spumante so I substituted it for the Champagne. This Asti Spumante Pimm’s Cup is a great holiday cocktail because of the beautiful red color. 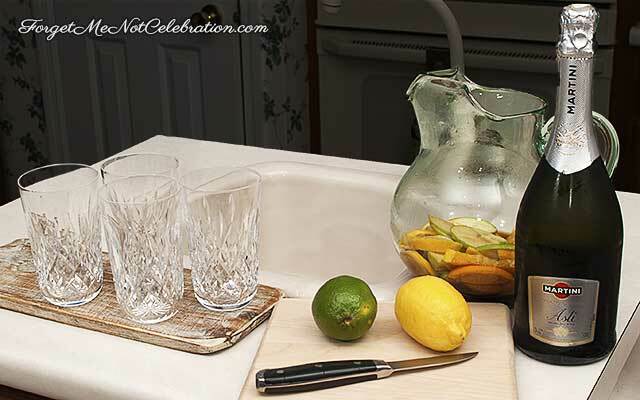 Additionally, you can make a pitcher ahead of time and your guests can serve themselves. Place the sliced fruit in the pitcher with the Pimm’s No. 1 and chill. When your guests arrive, pour in the bottle of Asti. Place half the sliced fruit and Pimm's No. 1 into a pitcher. Chill. Add Asti when guests arrive. Fill 4 highball glasses with ice. Place a slice of apple, orange and lemon into the glasses. Pour in the cocktail mixture and garnish with a cucumber spear and a mint sprig.